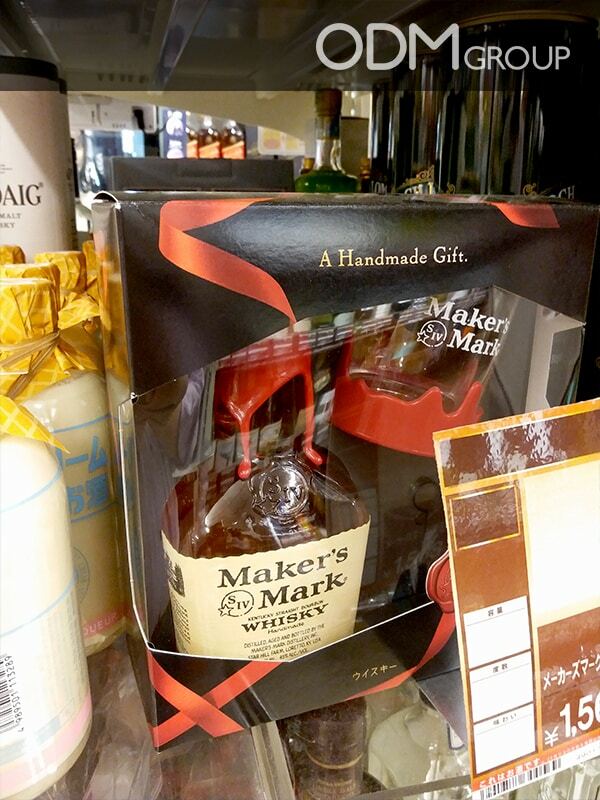 Maker’s Mark designed an exceptional glass for use as a gift with purchase in Tokyo Japan. The hand made glasses. Don Quixote department stores are running this Whisky Marketing Campaign right now. Bringing an exceptional Promotional gift to market helps to distinguish you from your competitors. It is also a great way to thanks all the whisky lovers for their loyalty. Customers will enjoy their drinks with a hand made glass of their favorite brand. As you can see, the design of the hand made glass remind the red wax at the top of the Maker’s Mark bottle which is the signature of the brand. Furthermore, this is an accessory that will inevitably find its place in all mini bars of whisky’s lovers. This is the perfect gift with purchase in order to thanks customers for their loyalty. The hand made glasses are easy to custom for your brand in a large panel of color and size. Why using hand made glasses as gift with purchase? Attracts customers: Your company will target customers easily with this kind of product. The packaging is very attractive, it will reach more people. Finer brand remembrance: The hand made glass will be used by your customers in their daily life. Consumers will remember to buy again your brand because it’s the one they have the hand made glass assorted. It is also a free advertising if they have people at home. Customer loyalty: This kind of product is a good way to thanks your customers, they will be impressed by this gift, thus it will enhance your customer loyalty. As a brand manager you need to understand Whisky Marketing and what works in store. As a design and manufacturing specialist ODM can assist with coming up with these concepts and bringing them to market. Here is a blog to help understand the different methods for making glassware.